It is rare to come across a first book that embraces the world the way we see it, and the way it can be imagined, with such a wise and graceful mixture of humor, loss, intelligence, wit, self-deprecation, and hope. AMERICAN LINDEN is such a book. Zapruder's poems are valuable, even necessary. They are, in the most important sense, love poems: to people, to ideas, to feelings, and to the mind itself, which by means of language move with honesty, wit, and distinction among the fleeting things of this world. 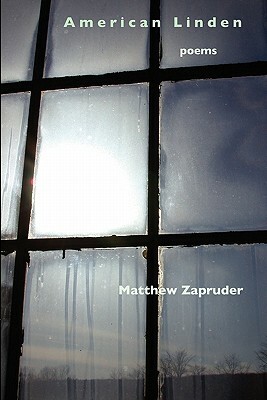 The acclaim for Zapruder's 2010 collection COME ON ALL YOU GHOSTS has caused surging interest in his first book.